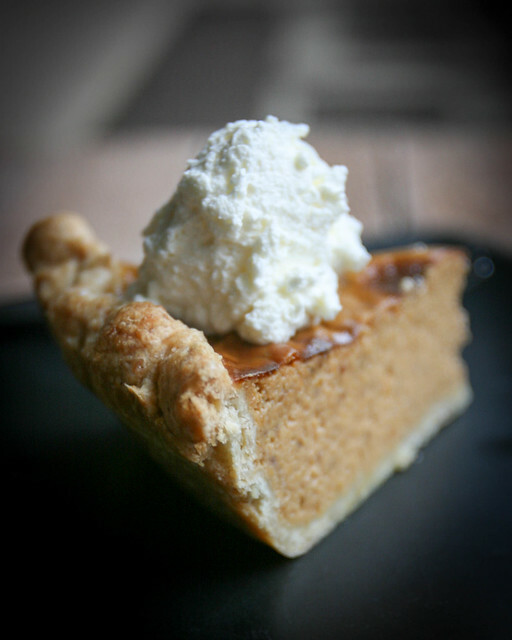 One of my all time favorite family recipes is mom’s pumpkin pie. She’s been bringing this dessert to Thanksgiving and Christmas parties for as long as I can remember. 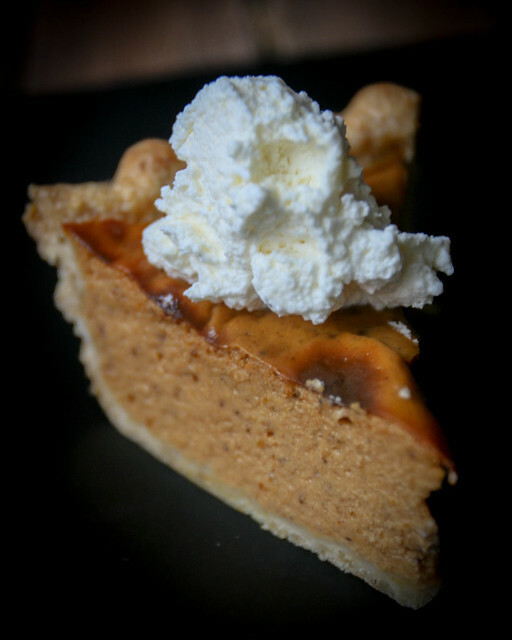 My version of the pumpkin pie with oatmeal crust is just a slight tweak on the original, because you really shouldn’t mess around too much with a good thing. Mom’s method follows a pretty classic pumpkin pie recipe, with all the usual ingredients you’d expect: cinnamon, nutmeg, cloves, eggs, evaporated milk and if you want to be super American about it, Libby’s tinned pumpkin puree. Of course, you can make your own pumpkin puree, but there is something special about Libby’s – they use a strain of Dickinson Pumpkins, with especially creamy flesh, that the company developed themselves. This variety is actually closer to a butternut squash than the pumpkins we’re used to, so if you are going for DIY pumpkin puree, you could just as easily use butternut squash. 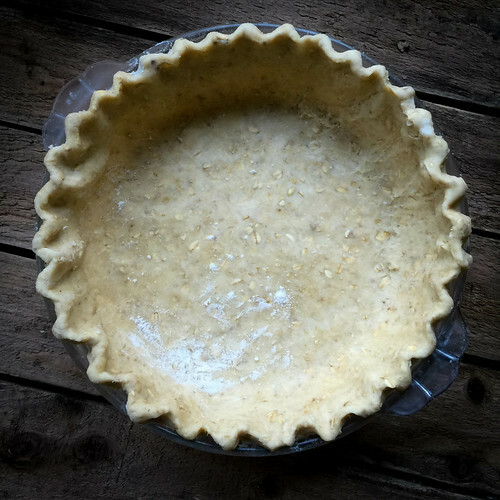 I’ve riffed on the family recipe with the pastry, where I’ve used a pretty standard shortcrust amped up with some rolled oats for amazing texture that works really well with the custardy pumpkin pie innards. 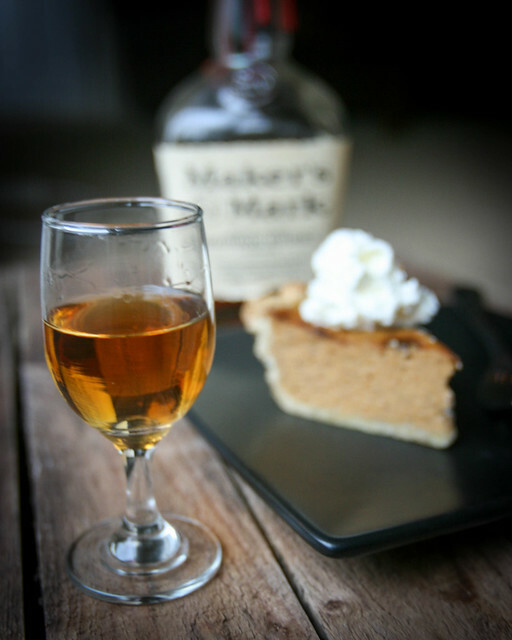 I’ve also been playing around with drink pairings for pumpkin pie. Sweet oloroso sherry and sweet reisling are amongst the recommended pairings, but I maintain that pumpkin pie, already quite sweet, needs to be balanced by something with a bit more oomph. 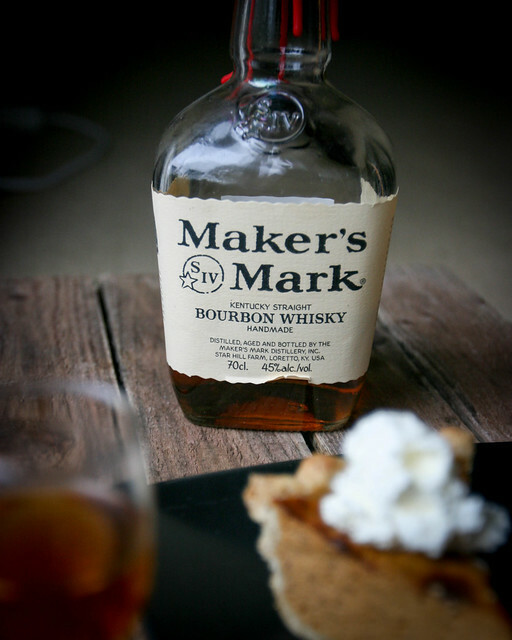 For this reason, Maker’s Mark bourbon is ideal – the bourbon mellows the pumpkin pie, while the pie brings out the caramel flavours of the bourbon. It’s astounding, and about as American as it gets. Preheat oven to 400F / 200C. In a large bowl, combine pumpkin, brown sugar, salt and spices. Blend in eggs and evaporated milk. Pour the mixture into the pie crust. Bake for 45 minutes or until knife inserted into the middle of the pie comes out clean. Let cool. Just before serving, whip the cream (add a little icing sugar for a touch of sweetness). Slice the pie and serve each slice with a big dollop of whipped cream. 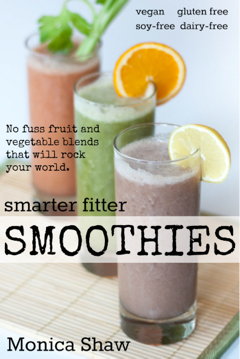 Combine the flour, oats and salt in a food processor and pulse once or twice. Add the butter and turn on the machine; process for about 10 seconds, until the butter and flour are blended and the mixture looks like cornmeal. Put the mixture in a bowl and add the ice water; mix with your hands until you can form the dough into a ball, adding another tablespoon or two of ice water if necessary. Form into a ball, wrap in plastic, and freeze for 10 minutes or refrigerate for at least 30 minutes. Sprinkle a clean countertop with flour, put the dough on it, and sprinkle the top with flour. Use a rolling pin to roll with light pressure from the center out. If the dough is hard, let it rest for a few minutes. If the dough is sticky, add a little flour. Roll, adding flour and rotating and turning the dough as needed. When the diameter of the dough is about 2 inches greater than that of your pie plate, drape the dough over the rolling pin to transfer it into the pie plate. Press the dough firmly into the plate all over. Trim the excess dough to about 1/2 inch all around, then tuck it under itself around the edge of the pie plate. Decorate the edges with a fork or your fingers. Freeze the dough for 10 minutes (or refrigerate it for 30 minutes) until you are ready to bake. Nothing wrong with a bit of tradition. This looks a lovely recipe, Monica. I bet you love making it as much for the tradition and nostalgia as the taste. Have a wonderful Thanksgiving. I’m working that day and evening so we will celebrate on Saturday.